Muslims try to reason with Christians that you cannot have two person in one because it is mathematically impossible. But sometime Christians come back with the argument, "is it not true that you can get Angels in the form of men, who are still angels". How would you counter this argument, or does the Quran and hadith support their claim that you can get 2 in 1, then possibly 3 in 1 as in the trinity which the church suggests. That's not how it works. Angels when they appear as humans are only doing that: appearing. They have one true form and everything else is but an appearance. They are not men and angels at the same time like the trinity states with God. 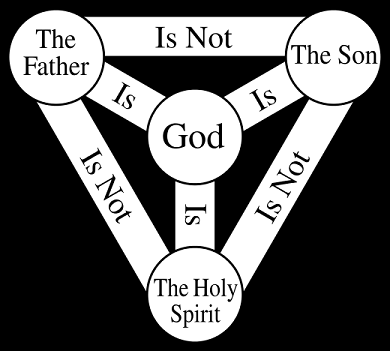 The trinity says that the Father, the Son, and the Holy Spirit are different persons but are all one God. When angels are appearing as humans they are not two persons being the same thing, they are one angel seeming like a human. Christians believe that there are three distinct persons: The Father is not Jesus. Jesus is not the Holy Spirit. The Holy Spirit is not the Father.Yet all three are divine. Not the answer you're looking for? Browse other questions tagged christianity or ask your own question. What is the fate of a deceased baptized child?